Vacations are one of the best ways to spend quality and amazing time with loved ones. In case you are planning for a memorable family holiday then one thing that you can consider is to get a caravan. 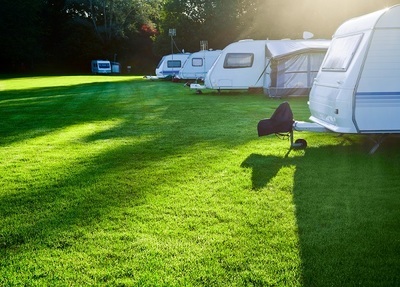 There are many reasons like a big family outing, or a family camping expedition which can make you decide to get family caravans for your needs. You can get the resale caravans or else, you can also take them on rent. Family caravans offer the opportunity of staying at any place you like while traveling. The only thing that you need to make sure is that you need to park these caravans in the safe place in order to avoid any unwanted situations. In case you are planning to go on a long trip, this can be a great idea as you can take best breaks. When you have these caravans, you have all the support system, medication facilities and food facilities for your family, and you can also accommodate large number of people in the family caravans. There are times when you have a low budget for your holidays. In such situations, if you have caravans you do not have to worry about it. This can surely help you to have a budgeted holiday. This is possible because by having family caravans you do not have to spend on accommodation; rather you can sleep and get up have a bath at the caravan itself. Hence, you will not have to spend on food also. Caravan travel in it is a great experience and if there is a family with you, nothing can be better than this. Now if you have the right amount with you, then you can also hire the luxury caravans and they provide you with all the facilities like lodging, electrical gadget installation facility, internet, Wi-Fi and even the modern cooking amenities. The very first thing that you need to do is to spend good enough time to explore the layouts available online for family caravans. Once you have checked this out, make visits to the shows or dealers to see what is really available. There are several things that you will have to consider as far as the layout is considered. Some of the things you need to take into account are shower size, heating types and other such facilities. You cannot miss out on checking these as you are going with your family and you would not like your kids to be uncomfortable while your trip. You also need to determine whether you will like to have four or five berths. This completely depends on the size of your family. Are you going to cook yourself in the kitchen of caravan or will have dinner out most of the times? Would you like to make a bed prior to going off to sleep or you want a readymade comfortable bed to sleep? Apart from that, the towing capacity, the entry and exit points as well as the comfort level that you can get inside the caravan, are some of the things to be considered when you decide to get a caravan. 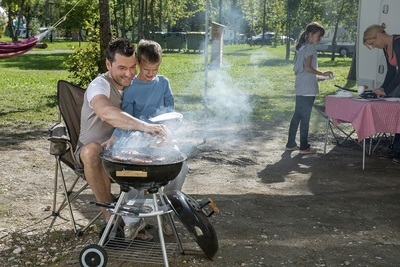 These are the few things on which you need to pay attention too in case you are planning to get family caravans to make some memorable memories while your family vacation.